Atlantic Canada is one of the most desirable places to live in the world. But while economic growth is positive, the region continues to lag well below the national average. Governments are aware of the challenges; however, the ability to create jobs is made increasingly difficult as mounting costs imposed by government reduces profitability. Atlantic Chamber of Commerce’s (ACC) members, representing 93 chambers of commerce and boards of trade and more than 16,000 businesses, have identified four priority areas of focus for 2019 where business and government can work together to create prosperity and growth in the future. Atlantic Canadians carry the highest levels of per capita government debt in Canada. Debt payments are consuming a growing proportion of government revenues and governments must start repaying these obligations before increases in interest rates threaten provincial solvency in Atlantic Canada. Atlantic Chamber of Commerce recommends provincial governments reduce the portion of provincial budgets spent on debt service by expanding the economy and reducing the size of government. An essential component of decision-making is the ability to predict costs and timelines while recognizing governments must provide rules to protect the public. Finding the balance between these two requirements for a prosperous economy is currently missing in Atlantic Canada. To attract reinvestment and new businesses, Atlantic Chamber of Commerce urges governments to ensure large- and small-scale approvals, certifications and permits are provided reliably, efficiently and free from political interference. Consumers and businesses compare costs before they invest or spend money, and governments determine the appropriate assignment of services and costs to companies investing in a province. Atlantic businesses continue to experience a diverse range of increases to the cost of operating in Atlantic Canada (e.g., minimum wage rates, higher CPP premiums and carbon taxes). 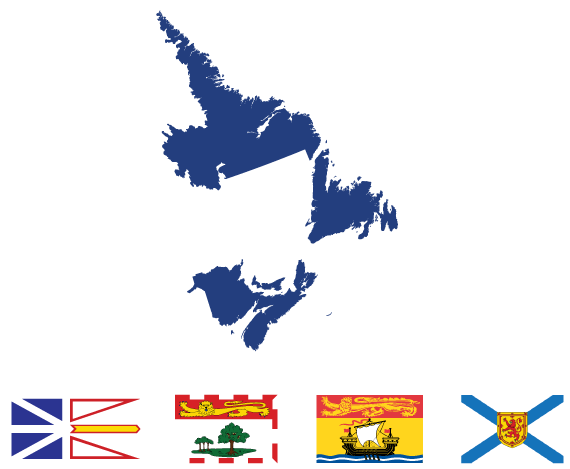 Atlantic governments need to show their province is ‘open for business’ by controlling increases to the cost of operating a business, reviewing tax policy, and creating economic development plans to grow urban and rural economies. It’s hard to understand why Atlantic businesses can’t fill job vacancies when our region has some of the highest unemployment rates in Canada. But the reality is less complicated—our workforce lacks the skills required in the current workplace. While many of the unfilled openings involve highly skilled vocations, there is also a deficit in basic reading and math skills limiting training and career opportunities for low-skill occupations. Governments must improve public education outcomes and improve access to workers through increased immigration, seasonal work programs, accessible settlement services, and retention strategies.